Coupla beauts, Joe. So refreshing is your loose line on the eyes, he thought. I never mention your use of type. Intelligent, tasteful, great design elements that also inform. Love these, esp. Mencken. Hard to separate them from who he is. "Love is like war: easy to begin but very hard to stop." Nice work, Joe. Always Love seeing that hunk of black that anchors your sensitive linework. Two solid portraits. 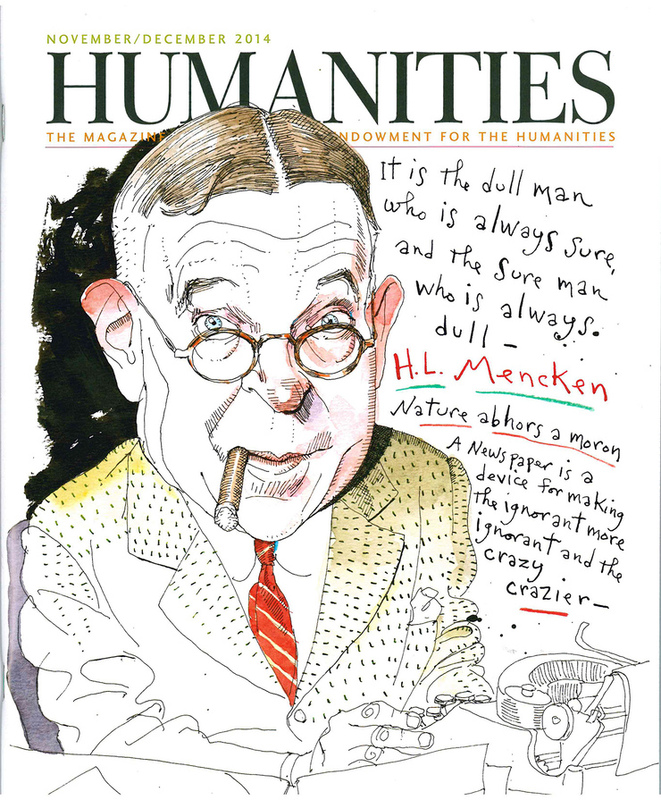 Really like the Mencken. He'd have a field day on this election night. Oh, as for the type- both you and Brod should copyright your lettering sand market them. 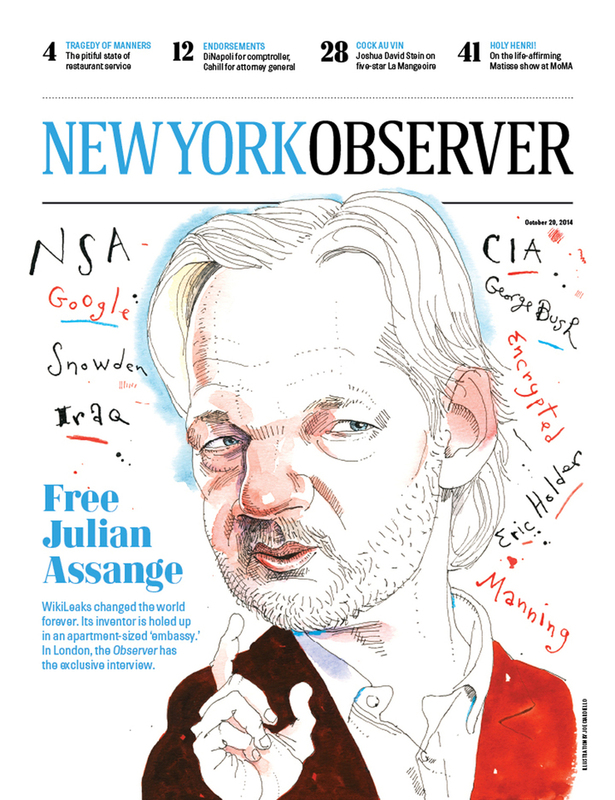 Great seeing your stuff big and were it belongs, cover boy. Cool, man. I agree with Richard.